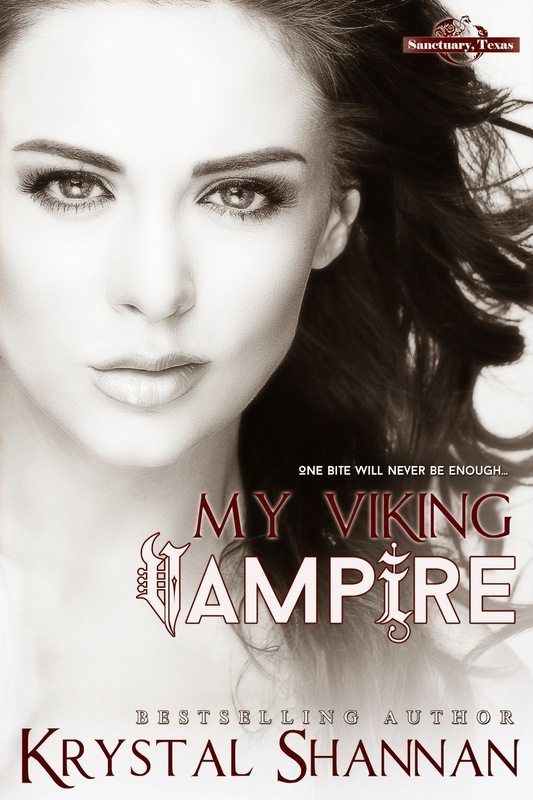 Today we have the pleasure of talking to Erick Thorson, the hero from Krystal Shannan’s newest release, My Viking Vampire. Erick is a Norseman, a viking, originally from the 10th century and is presently living in Sanctuary, Texas with a large group of Others —the term for supernatural beings in the series. Krystal will be asking him several questions today. Can’t wait to hear his answers! Krystal: Hi Erick. Thanks for coming by to talk today. Erick: Of course. Anything for the woman who brought me Bailey. Krystal: What traits do you find important in a friend? Erick: Friends should be loyal above everything else. Trust is something I do not give lightly. For those who have mine, I would fight to the death. Krystal: What is your most meaningful possession? Erick: Bailey’s love. My life had meaning before she came into it, but nothing I possess could compare to her loving me. Krystal: What brings you the greatest happiness in life? Erick: Loving the woman who shares my home and my heart, and protecting my friends. Krystal: What is your greatest indulgence? Erick: A 100 year old bottle of Scotch. *chuckling* There’s nothing quite like it. Krystal: What do you fear? Erick: The tenacity of Xerxes, Rose’s brother-in-law. He will never give up and he would see us all dead to achieve his goals. Krystal: How would you define a perfect love? Erick: There is no such thing as perfect love. Love is messy and consists of two people who work hard each day to build a life they can share together. Certainly there are perfect moments, but everything in life worth having requires effort and usually a fight or two. My survival instincts said he wasn’t the only unattached male in the town who might choose to pursue me. Better him than someone worse, but that wasn’t a reason to lead him on. He deserved better than to be used. He’d been a gentleman, so far … and he was kind. Plus, telling him I wasn’t interested in him sexually would be an outright lie. I was a woman, and he’d awakened something that I thought had long ago been beaten out of me. Desire. “I …” I opened my mouth, but choked on my words. Rubbing my sweaty palms on my pants again, I looked up into his perfectly blue eyes and relaxed. There were no cages in Erick’s house. That I could see. No chains on the walls. He didn’t even have bars over the windows. “I’m glad you are giving me a chance.” Erick stepped closer. Each movement was calculated and confident. He reached out and touched my cheek, then followed the line of my face down until he was cupping my chin. His fingertips brushed over my ears and slipped into the wet hair at the base of my neck. A shiver flitted across the surface of my skin. Energy charged between his hand and my cheek. Even though my first instinct was to pull away, I somehow found the courage to look up and meet his gaze instead. Krystal Shannan goes to sleep every night dreaming of mythical realms with werewolves, vampires, fae, and dragons. Occasionally a fabulous, completely human story slips into the mix, but powers and abilities usually crop up without fail, twisting reality into whatever her mind can conceive. If you are looking for leisurely-paced sweet romance, her books are probably not for you. However, for those looking for a magickal ride, filled with adventure, passion, and just a hint of humor, welcome home. 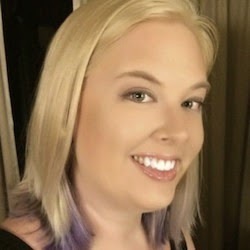 To Win Prizes from Krystal Shannan! Can I be in a vampire/shifter sandwich?